An experiment tested the assumption that music plays a role in sexual selection. Three hundred young women were solicited in the street for their phone number by a young male confederate who held either a guitar case or a sports bag in his hands or had no bag at all. Results showed that holding a guitar case was associated with greater compliance to the request, thus suggesting that musical practice is associated with sexual selection. This according to “Men’s music ability and attractiveness to women in a real-life courtship context” by Nicolas Guéguen, Sébastien Meineri, and Jacques Fischer-Lokou (Psychology of music XLII/4 [July 2014] pp. 545–49). 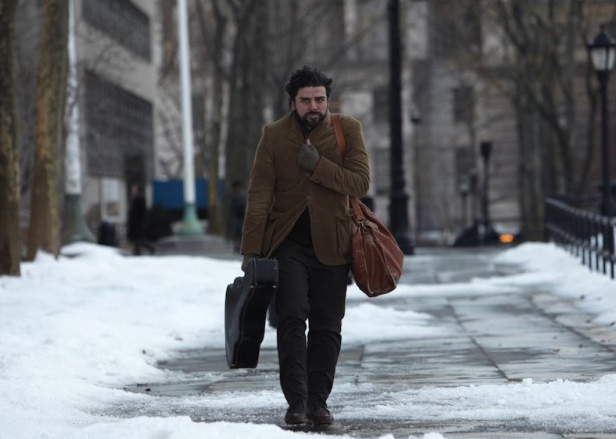 Above, Oscar Isaac as Llewyn Davis, perhaps providing a rule-proving exception; below, a study of men’s reactions to a man with a guitar case.